Time is running out . . . Vote! By Sarah Flowers April 22, 2014 April 22, 2014 Election, YALSA Info. So, remember when you got that email from ALA that gave you the link so you could vote? Yeah, you’re right; that was a month ago. But you still have three days left to vote: voting closes on Friday, April 25. Now is the time to dig through your email, find that link, and go ahead and vote. 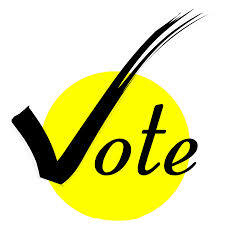 As of yesterday, 16.6% of ALA members had cast a ballot in this election. That’s a pretty low voter turnout. We don’t have numbers for YALSA members specifically, but in the past, voter turnout for YALSA has been around 20%. Still, that means fewer than 1000 people are making the decisions about things that might matter to you: who serves on YALSA’s Award committees (Printz, Edwards, and Nonfiction), and who serves on YALSA’s Board of Directors. For even more’ details, including complete biographical information on all of the candidates, check out the sample ballot. 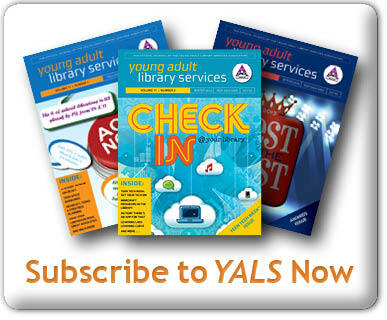 YALSA is a member-driven organization. That means it’s up to YOU to vote for the people who will be representing you over the next few years. Don’t let any more time go by. Vote. By Sarah Flowers November 21, 2013 November 20, 2013 Advocacy, YALSA Info. 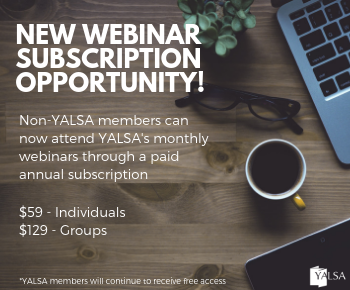 On November 12, YALSA held a free webinar for members on the topic of Teen Services Amplified with Everyday Advocacy.’ I facilitated this webinar, which drew over 40 engaged YALSA members in real time, and many more who have listened to the archived version. 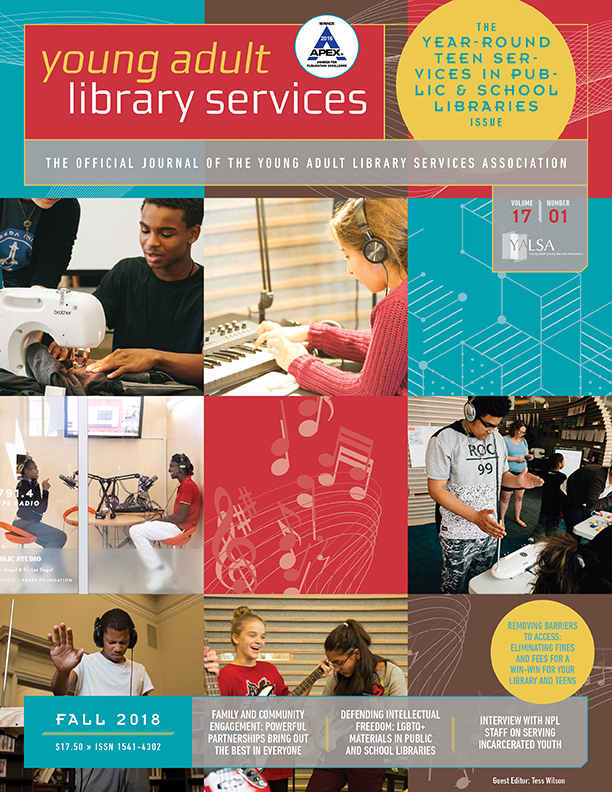 Because the topic of advocacy is such a big one, I wanted to focus on the ways any of us can use easily available resources, like YALSA’s Advocacy Toolkit, to amplify our message that library services are important to teens and to communities. After some quick definitions–talking about how marketing, advocacy, and lobbying differ, for example–we got into the heart of the matter by sharing examples of ways we can advocate on a daily basis. We started by talking about WHO we advocate with: administrators, co-workers, parents, community members. Attendees gave examples of times they had been able to show their bosses or co-workers how library programs and services were valuable to the teens in their communities. Finally, I shared some of YALSA’s great resources for advocacy, and encouraged members to take advantage of the advice, talking points, hints, and tools that YALSA has developed over the years. There’s no need to re-invent the wheel when it comes to advocacy! 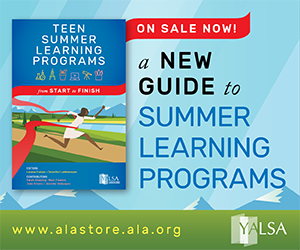 The archived version of the webinar is free to YALSA members, available on the YeLL (YALSA e-Learning Library) page. In talking about advocating for teen services, we often emphasize advocating with your library’s administration, or with elected officials, or the public. But there’s a great–and often untapped–pool of people that can really help you spread the word about teen services: your library colleagues, from fellow librarians and library assistants to clerks and pages.’ If you get these people on board with your message, they will carry a lot of the load of getting the message out to others. Think about it: who are the people in the library that the public has the most contact with? Yes, it’s the front-line staff, the folks who spend hours a day at the service points or in the stacks. These are the staffers that members of the public are most likely to know by name, or at least by face. In many public libraries, in fact, it is the clerks and pages who are most likely to be truly local–people who live and work in the community that the library serves. So how can they help you advocate for teens? Well, they can’t, unless they understand why they should and how they can go about it. Your first step is to inform and energize them. Keep in mind that many adults don’t really understand teenagers and sometimes they’re even a little afraid of them. Your job may be simply to demystify teens and help others understand why they do what they do. Offer to do a short session at a library staff meeting and/or new employee orientation on teen developmental needs. When you are chatting with co-workers in the break room, share interesting stories about teens and the value of teen services. Come up with a joint project in which you can work with children’s or adult services librarians to serve both teens and children or adults. Make a note when you see a positive interaction between another staff member and a teen, and follow up by complimenting your colleague, either verbally or with a quick note. Find out which of your colleagues have teenagers at home, or work with teens in some other part of the community–at church, at a volunteer organization, as a coach, etc. Find opportunities to remind your colleagues that helping teens grow into strong and capable adults is good for the whole community. Share your own enthusiasm for teen services at every opportunity–others will be swept up in your wake. Find out if you can take another staff member along with you when you speak at schools or at community events. 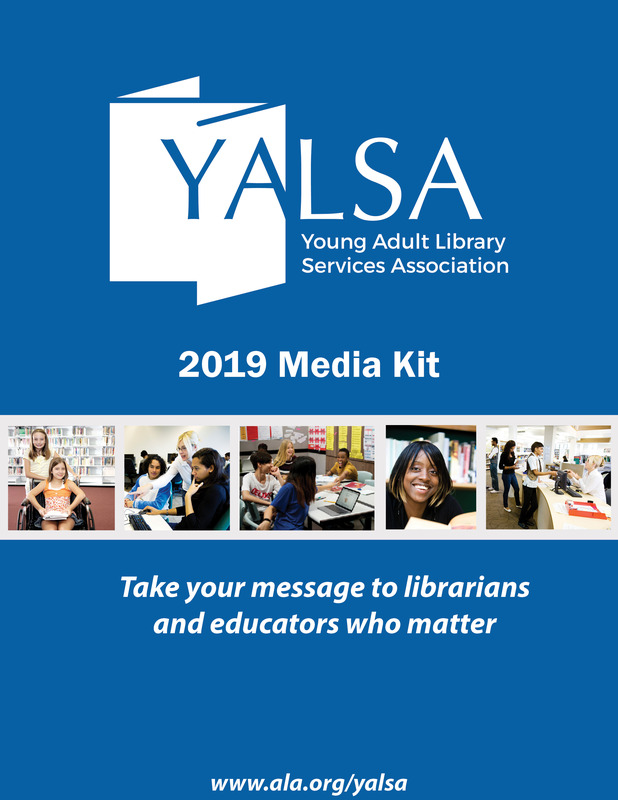 As part of YALSA President Shannon Peterson’s presidential theme (Amplified: Speaking Up for Teens and Libraries), YALSA is working on a number of projects to help YALSA members speak up for teens and for teen library services. As part of this effort, I recently worked with other YALSA members to update YALSA’s Advocacy Toolkit. The new, updated, streamlined version can be found here, in PDF format, for easy downloading and sharing. What is advocacy? The differences between advocacy, marketing, and lobbying. Everyday advocacy: what you can do in five minutes, fifteen minutes, thirty minutes, or more. Developing and delivering your message: how to develop a persuasive message and deliver it with conviction.